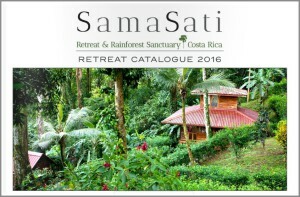 Peace through Yoga Foundation groups come to Samasati Retreat and Rainforest Sanctuary two to three times a year. Their itineraries are filled with adventure, yoga, and a day at their International Center for Peace working with local children between the ages of 7 and 14 years old. The center is just a 20 minute walk from the entrance of Samasati. The participants help with English classes, sewing projects, arts/crafts, or share a talent/skill of their own. Stations are set up and children rotate every 20-30 minutes. The other days are filled with yoga every morning and evening, zip-lining or horseback riding, a visit to an animal rescue center, kayaking, Cahuita National Park, and an optional river rafting excursion on the return trip back to San Jose. Why Girls? Helping to shape confident, informed young women helps them to take a path in their lives that is both productive and healthy. By redirecting negativity and non-opportunity and give them choices on achieving their personal and professional goals, recognizing their importance in society, the home and in leadership. 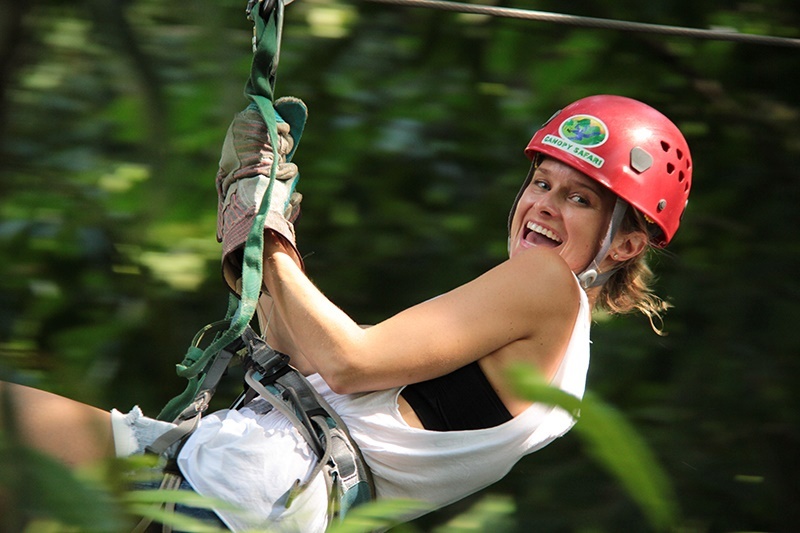 Following yoga and breakfast, the group will head out for the famous Canopy Tour where you will zip from tree to tree in the jungle. There are 15 stations where you will enjoy approximately two hours of zip lining and walking in between several of the platforms. Return to Samasati in time for lunch. An alternative included excursion would be horseback riding at the beach. Well-trained horses and an expert guide will accompany you in this adventurous excursion. You, too, will be back in time for lunch. After yoga and breakfast, we will have a morning adventure at the nearby Cahuita National Park. It is known for white sand, palm tree lined beaches, and crystal clear blue waters, which are ideal of swimming. You will also have the opportunity to hike the flat seven kilometers to the point and/or sunbath. Return to Samasati for lunch and relax or participate in other activities. Taxis can be arranged in the afternoon to go to town for shopping and exploring. Or you can hike one of the many trails, get a massage, relax in the Jacuzzi, take a nap or read in a hammock. To guarantee your space, call our Reservation Manager, Susie Morwick at 317-544-8391. $500 initial deposit; balance is due 90 days prior to departure. For Travel Insurance, contact Travel Guard at (800) 826-1300.